First off, thank you for your interest in the site! The Vinyl Archivist is something that has grown from my passion for record collecting. I have already laid out the reasons why you should clean your records throughout the main site. I would like to take this opportunity to give you my personal perspective of where I am today. I have been an avid collector for as long as I can remember. Going into college I was listening to the classic rock staples you would hear on the radio, and really enjoyed things such as Pink Floyd, Yes, Rush, and Jethro Tull. My good friend suggested that I check out early 70s Genesis. From the time I had Selling England by the Pound in my discman, I was hooked. Thus began my long odyssey collecting Progressive rock. Within a few years, I had an entire bookcase filled with obscure CDs. Music was the thing that I could collect and truly engage with. There was never a silent moment in my life – music would be playing as I got ready for work or class, in the car, through headphones when I was walking around, and softly in the background as I drifted off to sleep. I scoured the internet researching more and more music I desperately needed to hear. By the mid-2000s I found myself with less time to listen, as the constraints of real life took a toll on my free time. But I was also increasingly feeling less and less like listening to music. Playing MP3s through my computer or iPod became the default method of playback. New CDs I bought failed to engage me. As time went on I still listened to music on my commute, but I could no longer say I was passionate about it. Then a number of my friends began buying turntables and collecting vinyl. At first there was the novelty of seeing so many of the albums I used to love in their original format, and the nostalgia of hearing them again when we would sit around and spin them. But then something clicked for me – these records sounded great. I did not get tired of listening after forty or so minutes as I did with MP3s or CDs. Eventually I picked up my own turntable and began to collect some of my favorite albums on vinyl. Vinyl brought music back to the forefront for me. Not only did I find new life in the dynamics of the wax, the act of playing a record became a ritual that made the music central. Having to flip the record meant I couldn’t go off and do much else, only paying slight attention to the music. I was focused and attentive. I was absorbed. And now is where we get back to the record cleaning: this dedication and attention to playback had its downside. I was hearing surface noise, pops, and clicks where I used to hear the clinical, crystal clear reproduction of digital formats. I was hooked on the analogue sounds coming out of my stereo, yet I was equally annoyed with dirty records. Buying used records has always been the most fun; the thrill of the chase when you’re confirmed as the winning bidder, or the kick of adrenaline when you find a rare album out in the wild while digging become addicting. The music I love was mostly made in the 1970s, and often had niche interest at best. There was not going to be a glut of brand new reissues I could aim for, and I was stuck with getting records that had about forty years worth of dirt and dust in their grooves. Even brand new records had annoying static and noise, despite being sealed. So I started cleaning them. First just the rarer ones, the special ones, by hand. I did my research and bought the proper materials, including Disc Doctor solution and brushes. Cleaning vinyl was time consuming and exhausting. It was a chore. My burgeoning collection was still small, but it took me nearly a year to clean it all. Just this simple cleaning improved what I was hearing, but naturally, the mania that is collecting lead me to research better methods of cleaning. I tried out a Record Doctor V to add vacuum power to the mix. The process was still time consuming, but I was getting better results. Naturally my next step was a VPI, the standard for home cleaning machines. This improved the efficiency of cleaning and really powered through suction and removal of grit and grime. It wasn’t until I saw (and heard the results) of an Audio Desk Systeme at a collector friend’s home that really convinced me that ultrasonic cleaning was truly the highest standard in professional record cleaning. I brought home my own as soon as I could afford it, and haven’t looked back since.  The results I saw and heard when cleaning my collection inspired me to create The Vinyl Archivist as a service to others, so you could share in the aural bliss that I’ve experienced, with your own records. Will even this top of the line cleaning make every record sound perfect? No. Vinyl is an inherently flawed medium when it comes to stability and longevity. Quality control is not universal throughout the industry and never has been. Each pressing is different from the next, and the listener is subject to the idiosyncrasies of each individual record. 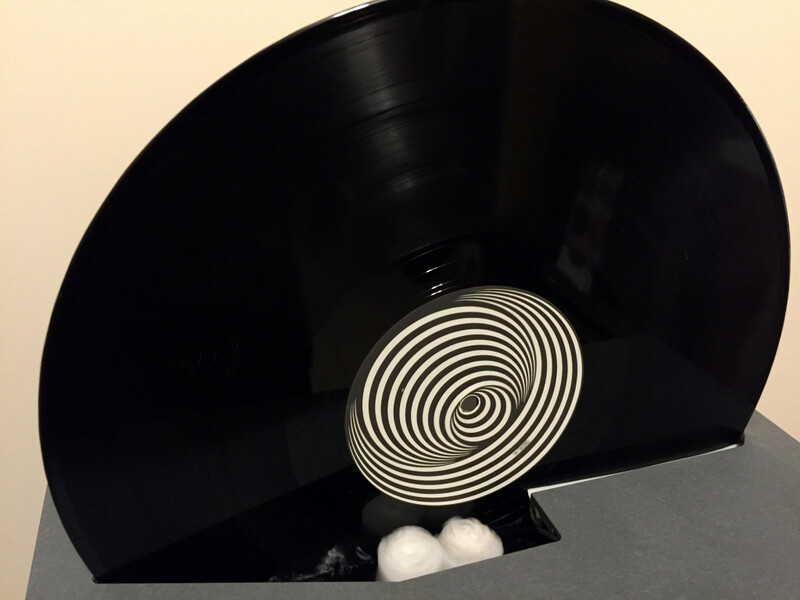 Even an unplayed, stone mint record can have surface noise, pops or clicks. A VG record will still reproduce the damage to the grooves when played. What I have experienced from my cleaning regimen is that I am getting the best possible sound I can out of the records at hand – they will never sound better. And that is really all I can ask for. I listen to records for the way they sound, what really cannot be described as anything other than the magic of analogue sound reproduction. Even if I can’t get crystal clear playback, what I do hear is vastly superior and has the depth and feeling of exceptional sonics. Music has the power to take you somewhere else – vinyl records have the ability to bring you there, to make you feel as if the music is occurring all around you, enveloping you in the soundstage. That is why I clean records. I intend to use this blog portion of the site for sharing news, as well as longer form features such as label profiles, my thoughts on record collecting, stereo equipment, and anything else that might be of interest to my fellow wax junkies.